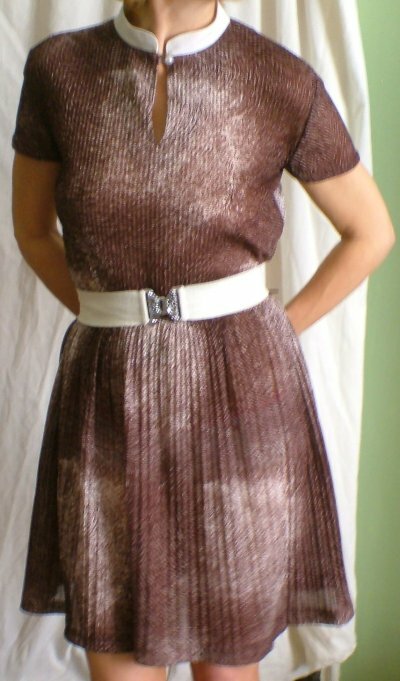 Early 70s vintage brown and white full skirt mini dress . 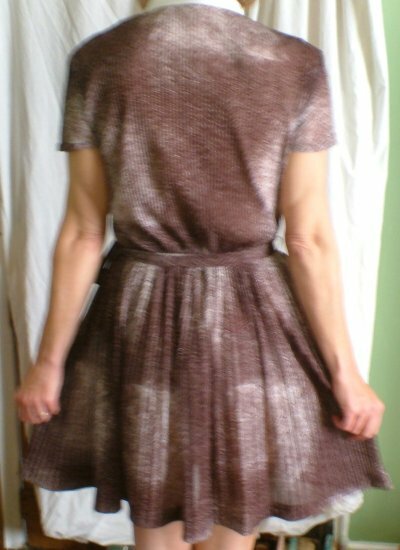 This demure little mini dress dates from the early 70s. It's made from polyester, with a neat stand up collar fastening with a big, round button, an elasticated waist and full, pleated skirt. It has a self belt, no pockets or maker's name - just one label with washihg instructions. 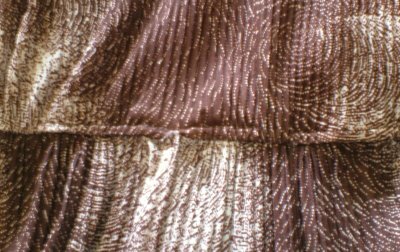 The main colour is mocha brown, but the whole is flecked, rather than solid colour; similarly, all the fabric in the whole dress is pleated - just tiny little sunray pleats - which gives it a certain amount of stretch. 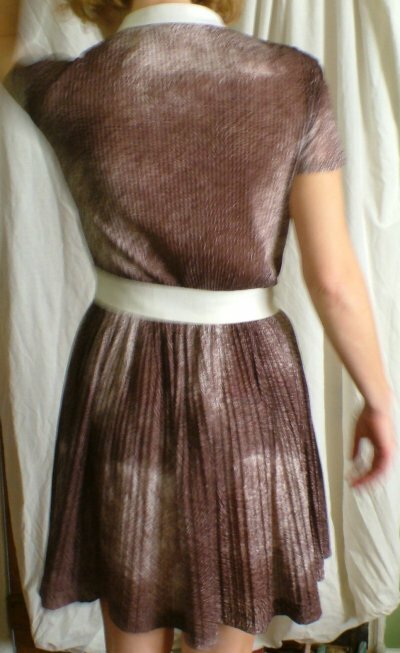 It's in excellent vintage condition. 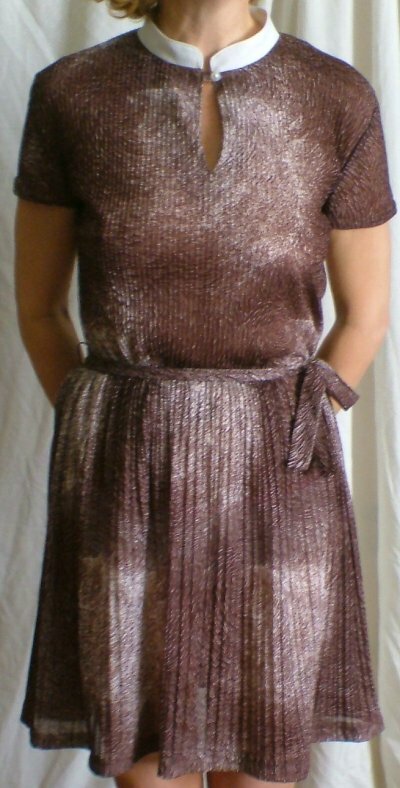 Measurements laid flat are: bust 33 ½ ins/85 cms, waist 26 ins/66 cms, hips free. While there is, as stated, quite a lot of stretch, best fit would probably up to a UK size 12. 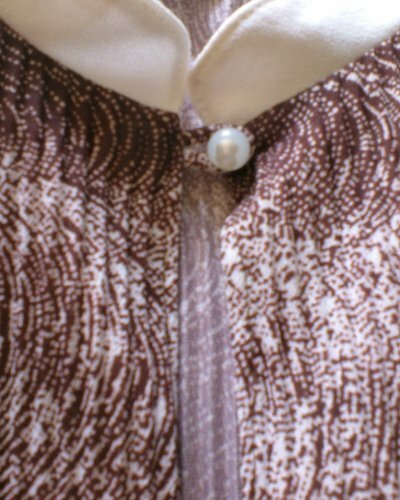 Length 36 ins/91.5 cms from base of collar.